THE BOOK IS HERE! Now you can get your very own copy of the long-awaited Lightworker Training manual. Scroll down for info and link to the bookshop. We all have energy bodies, but not many of us have been taught how to care for them. The Lightworker Training program I’ve developed gives you both a rock solid foundation of structure and room to be yourself and develop your unique skills. I’d love to show you how easy it is to tap into your intuition and move tons of energy to keep yourself clear and grounded. I specialize teaching an integration of multiple techniques and modalities with a non-dogmatic approach. Because I’ve practiced many ways of working with energy, I’m able to help you find what works for you. Lightworker Training is immensely helpful for anyone with an energy body, but is truly a game-changer for healers, helpers, and sensitive folks of all kinds including therapists, social workers, nurses, caregivers, empaths, counselors, coaches, and those who feel called to be of service in the world. Lightworker Training can give you the tools to avoid on-the-job stress and burn-out. You can learn how to do what you love without the feeling of sacrifice and struggle. Learn if this work would support your practice. 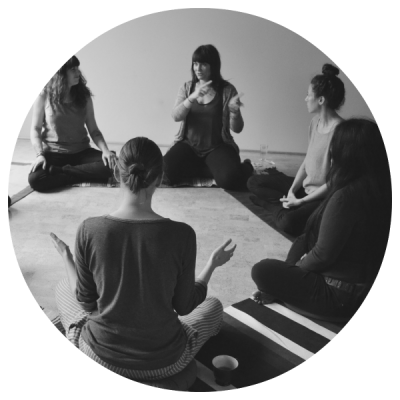 Lightworker Training courses start with Level 1: Foundations, an 8-week course of core teachings and practices designed to give you a toolkit for session work. 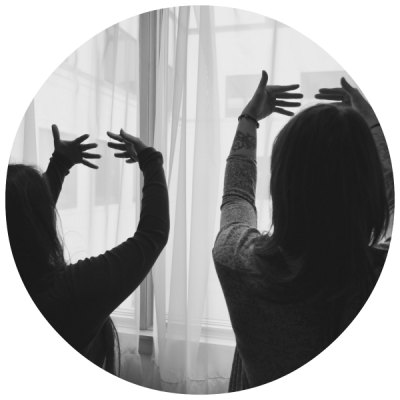 In Level 1 you will receive a well-rounded set of key energy work techniques and conscious mindsets which are taught and practiced week by week, so that by the end of the course you will have all the tools required for a complete lightwork session for yourself, clients, or loved ones. Access to exclusive member content on the Lightworker Training site. Access to class recordings for replay or review. Current tuition for Level 1 is $333 which includes 16 hours of class time over the course of 8 weeks. Repetition of classes is encouraged. Repeat fee for the 8-week course of Level 1 is $44. Partial scholarship and/or work study is possible for low-income students. You can begin your Lightworker Training exploration with a complimentary student consultation to see if this work would be a beneficial part of your practice. 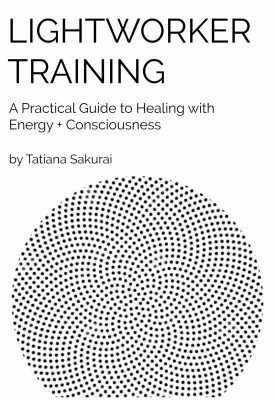 Lightworker Training: A Practical Guide to Healing with Energy + Consciousness is your key to learning powerful tools to work with your mind and your energy body to create more ease in emotional, mental, physical, and spiritual aspects of your life. In this book, I share the tools I use every day to help clients and students help themselves to get free of painful patterns and step into their power. From simple mindfulness practices for daily life to full lightwork session protocols, you’ll discover a treasure trove of techniques and a distillation of a decade’s worth of intensive study and practice in multiple modalities presented in a clear, down-to-earth style. Get your copy of Lightworker Training HERE. Work the course at your own pace and depth with one-on-one customized lessons with Tatiana in person or via video call. Regular session rates apply. The training continues with a series of advanced lightworkshops offered as modular units that combine to create an additional 3 levels of curriculum. Why you don’t need to spend a bunch of money on crystals. How to avoid the common negative interactions with crystal energy fields. Why wearing black tourmaline is never a good idea. How to make crystal essences. How to do crystal lay-outs. We’ll also be learning and practicing how to clear, charge, program and consecrate our crystals for healing and how to work with them as wands, activators, jewelry, and more. Bring crystal allies you may already have and/or learn which crystals are most helpful for you before investing. Color Therapy lightworkshop is also recommended for those interested in working with crystals. For graduates of Lightworker Training Level 1 only. If you love color, this class is for you, rainbow warrior! Not only is color therapy fun, but it’s a potent way to boost your practice. In this info-packed lightworkshop, we’ll learn about the properties of the beautiful color rays of light, how to channel them, and how to work with them safely and effectively. This experiential class will also cover some applications with protocols for physical healing that we will practice. Color Therapy is a helpful adjunct to Crystal Healing. It is extremely beneficial for those students who feel called to work with crystals and/or plant medicines. This advanced course module is all about ENTITIES! What are they? How do we attract them? Do we create them? How can we get rid of them? In this power-packed lightworkshop, we’ll illuminate some of the interesting phenomena surrounding entities of all kinds. Get ready to embody the light, get multi-dimensional and learn to clear: earth-bound spirits, thought-forms, demons, portals, parasites, contracts, and implants. How does it get any weirder or more fun than THAT? What are your beliefs? Are they helpful? Would you rather believe or know? What would it look like to create beyond your limiting beliefs? In this advanced lightworkshop you’ll learn about limiting beliefs, programs, contracts, and implants. Discover how to identify them, clear them and discern whether or not replacement energies are required. We will practice discovering hidden programming in our DNA or on multidimensional levels and freeing ourselves and each other from these limitations. In this advanced lightworkshop, we’ll be taking a more in-depth look at healing mental and emotional energies. We’ll dive deep into consciousness tools and the power of mindset to discover the importance of healing at the level of the mind and how the mental level effects the emotional and physical bodies. We will look at the energy of psychic attack and psychic self-defense, explore precise ways of scanning for and clearing psychological energies on the chakral level, clear specific layers of the auric field, and practice some advanced shielding techniques.